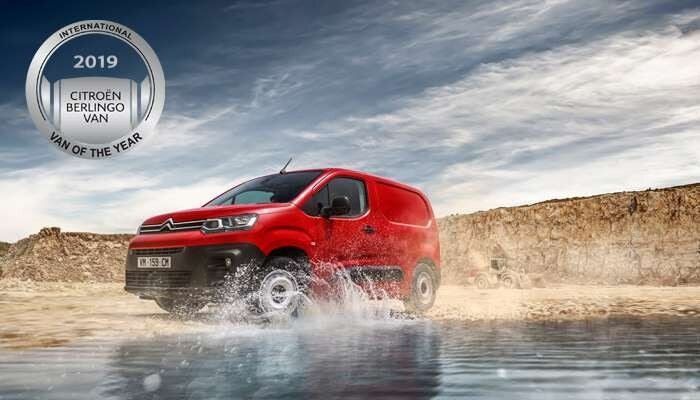 New Citroën Berlingo Van has been awarded the coveted title of “International Van of the Year 2019”. The presentation took place on Wednesday at the IAA Commercial Vehicles Show in Hannover. The third generation Berlingo Van was recognised for its remarkable developments in terms of comfort and technology, with no compromise on functionality. True to the brand’s signature, “Inspired By Pro”, New Citroën Berlingo Van adapts to the needs of all professions and trades. The judging panel praised New Berlingo Van for its two sizes (M and XL), as well as its comfort and safety features – with no less than twenty driving aids and four connectivity technologies. Irish deliveries of New Berlingo Van are scheduled to begin in the last quarter of 2018. Linda Jackson, Citroën Global CEO, commented; “The Citroën brand is proud to see New Berlingo Van receive the prestigious title of “International Van of the Year 2019” once again. This award bears witness to the leap taken by this third generation of Berlingo Van in terms of features and underlines the relevance of Citroën’s offer in the delivery van sector. This success highlights the brand’s historic commitment to the Light Commercial Vehicle sector, and continues a long success story, from the 2CV delivery van and Type H, to the Dispatch and New Berlingo Van today. A modern commercial vehicle perfect for every business, New Berlingo Van is true to the brand’s signature “Inspired By Pro”. This is the fifth time in the history of this sought-after prize that Citroën has won “International Van of the Year”, and it is the second time for Berlingo Van. Its previous victory dates back to 1997, when the first generation model was introduced. Other LCVs in the Citroën range to have been awarded the accolade are Citroën Relay (in 1994) and Citroën Dispatch (in 2008) and Citroën Nemo (in 2009). Irish deliveries of New Berlingo Van will begin in the last quarter of 2018. More than 1.5 million examples have been produced throughout the world since Berlingo was originally launched in 1996, firmly marking its place as one of the key players in its sector.